Leads captured from your mobile enabled marketing collateral can be directed to both your mobile phone as a text message and to your email. 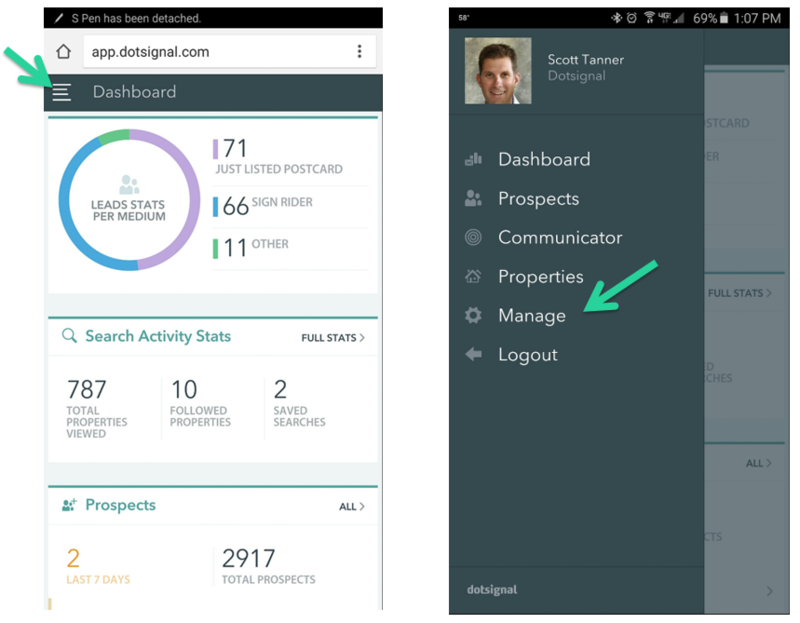 In your Dotsignal back office account your lead alerts can be managed in one place for all your listings and on a individual property level. The instructions below will help you learn how to manage your lead routing. After logging into your Dotsignal back end account click on Configuration at the top right corner of the page. Then select Notifications & Marketing Mediums. Go to the box Manage Alert Records... In this box you should see your mobile number and or your email address. This is where you can add additional mobile numbers and email addresses or delete any existing mobile numbers or emails. Note: The system will allow you to add up to 3 mobile numbers and 3 email addresses. 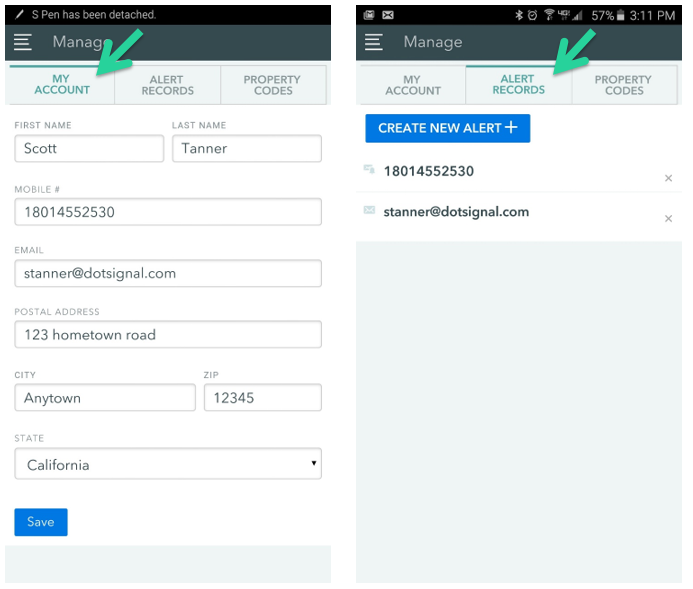 To add an new mobile number or email Click on the "Create Alert". Use the pull down menus to select "Email Alert" or "Text Message Alert" then enter the mobile number or email address. Note: When managing your Lead Alerts from the Configuration page you are creating a default Lead Alert that will automatically apply to all your listings. In your Dotsignal back end account click on Properties. Then click on Active Properties. Click property you want to work with. Here you can add a lead alert that will only apply to this property click on "Create Alert"
Use the drop down menu to select Email Alert or Text Message Alert then enter the mobile number or email address. Select Alert Records. You can add multiple email addresses and mobile numbers as needed.